We know beer. Everything you need to know. Information, resources, and fun facts about the delicious brew we call beer. Got a question? Let us help? Got a question about beer? We know beer and we’re here to help. Ask us a question or request a type of beer and we’ll get back to you. For general inquiries, location information, or contact info, please visit our contact page. A lager, which can range from sweet to bitter and pale to black, is usually used to describe bottom-fermented brews of Dutch, German, and Czech styles. Most, however, are a pale to medium color, have high carbonation, and a medium to high hop flavor. Porter is a dark, almost black, fruity-dry, top-fermenting style. An ale, porter is brewed with a combination of roasted malt to impart flavor, color, and aroma. Stout is also a black, roast brew made by top fermentation. Stout, not as sweet to the taste, features a rich, creamy head and is flavored and colored by barley. Stouts often use a portion of unmalted roasted barley to develop a dark, slightly astringent, coffee-like character. Indian Pale Ales (IPAs), which encompass numerous styles of beer, get their characteristics largely from hops and herbal, citrus or fruity flavors. They can be bitter and contain high alcohol levels, though the final product depends on the variety of hops used. Some IPAs can taste like pure citrus, while others are strong and bitter. Prominent IPA styles include West Coast IPA, British IPA and New England Style IPA. Dark amber or brown in color, brown ale have evidence of caramel and chocolate flavors and may have a slight citrus accent or be strong, malty or nutty, depending on the area of brewing. Dark ale is a British type beer, combining hops, yeast and a blend of malts. It’s a medium chestnut brown color, with a delicate fruity smell and robust, malty character. Made with neutral and hard water. Tend to be golden in color with a dry, crisp, and somewhat bitter flavor. Pilsner stands out from other lagers due to its more distinctive hop taste. Red ales can either be red or light brown in color. They are moderate to heavy in flavor and contain hints of caramel that is offset by the predominant hop characteristic of the beer. Things everyone who likes beer should know. Beer is one of the world’s oldest beverages, possibly dating back to early periods when cereal grains; like barley, rye and wheat, were first farmed. Beer is brewed when a starch source (like a grain) is steeped in water. The resulting liquid is then fermented with yeast. To be called “Beer,” the main ingredients must be water, some type of starch, brewer’s yeast, and hops (for flavor). CANS OR BOTTLES? WHAT'S BETTER? Most beers come in cans and bottles. The vessels are high-quality storage units, with much of the yeast is cleared out by the filtering that happens in the packaging process. While this kind of purification may be desirable to some, to others, the yeasty-ness is just part of a beer’s character and makes it tasty. Are bottles better than cans? 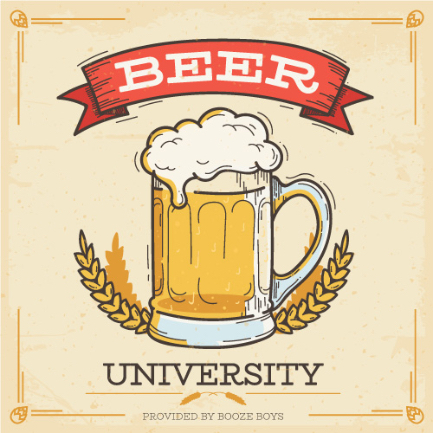 The answer: “It’s up to you!” Ask the “beer experts” at Booze Boys for information on your favorite beers. WHAT'S A DRAFT, OR "DRAUGHT" BEER? Draft beer, also known as “draught beer,” is served from a keg or cask vs a bottle or can. At Booze Boys, we have up to 2 or 3 draft beer selections on tap for your enjoyment. You can bring your own growler or pick up one of ours. WHY IS IT CALLED A "DRAFT"? The words come from the Old English “dragan” meaning “to carry” or “pull”. It was then developed into a series of related words including “draught, “drag,” and “draw”. “Draught” is the preferred term in the UK, Ireland, Australia, and New Zealand, while “draft” is more common in North America. Although it can be spelled many ways, the pronunciation is the same (and it rhymes with “craft”). Drafts are often considered tastier when compared to beer from bottles and cans. Drafts are stored in kegs or casks and are not exposed to as much air (which may cause a degradation of taste. Draft beer is also not pasteurized (heated to kill bacteria), so more of the original, fresh flavor is retained.